Passionate about the Appalachain Trail? Live in the Southeast (particularly in Atlanta or North Georgia)? 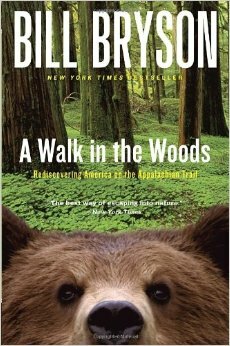 Then this is your big chance to hang with Rob and Nick – they just started filming a Walk In The Woods based on Bill Bryson’s A.T. memoir. The movie is due for release in November 2015, and filming at The Lodge in Amicalola State Park began on 4/22/14. Extra’s casting is reportedly underway per this article in the Gainesville Times, and if your not the Trail Hard type – there’s scenes being shot in Atlanta which explains why Robert Redford keeps showing up at Davio’s in Phipps Plaza in Buckhead. This is the second major Hollywood film production in the last two years that highlights a thru-hikers journey on a U.S. long distance hiking trail. You might recall that Cheryl Strayed’s Wild, started filming last fall and stars actress Reece Witherspoon who hikes part of the Pacific Crest Trail. It will likely beat Walk In The Woods to theaters, and you can expect a flood of thru-hikers on the Trail in 2015 and 2016. There’s nothing like a Hollywood movie (or two) to generate interest in a sport.